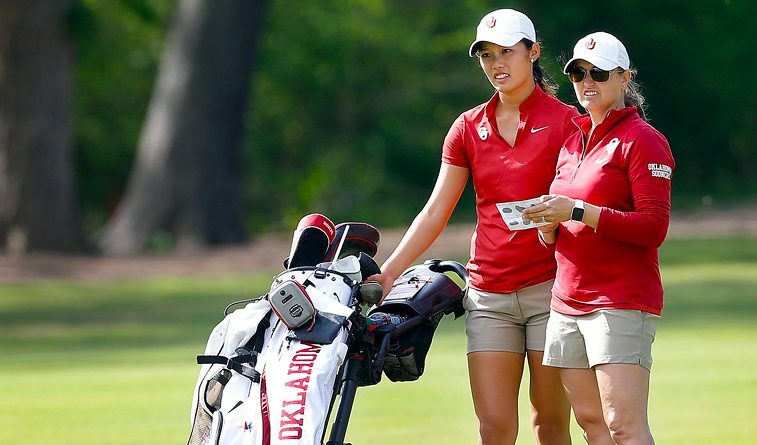 NORMAN – The NCAA Division I Women’s Golf Committee announced Thursday the teams and individuals that will compete in the 2017 NCAA Golf Championships. The Sooners were selected as the No. 6 seed in the NCAA Lubbock Regional, which will be held May 8-10 at The Rawls Course in Lubbock, Texas. The 18-team regional, hosted by Texas Tech University, is one of four 54-hole preliminary events for the NCAA Championship finals. The low six teams and low three individuals not on an advancing team from each regional will move on to the finals, which are set for May 19-24 at Rich Harvest Farms in Sugar Grove, Ill. The Sooners will match up with four Big 12 schools in the regional, including No. 5-seed Texas, No. 9 Texas Tech, No. 10 TCU and No. 13 Iowa State. Baylor, Kansas State and Oklahoma State also earned a postseason bid. Other regional sites include the UNM Championship Course in Albuquerque, N.M., the Ironwood Golf and Country Club in Greenville, N.C., and the Scarlet Course/OSU Golf Course in Columbus, Ohio. Eighth-year OU head coach Veronique Drouin-Luttrell said her squad is anxious to be be back in regionals after a one-year postseason hiatus. Last season, Hannah Wood qualified as an individual for the NCAA Bryan Regional at the Texas Traditions Golf Club in Bryan, Texas. The then-sophomore tallied a three-round 215 (-1) in the event and was one shot off qualifying for the 2016 NCAA Championships.